Living in Southern California provides you with some great advantages over living in other areas. You get to experience fabulous weather throughout much of the year so you can spend more time outdoors. You also get the advantage of having the ability to maintain a great garden and special trees on your property if that is what you want. Many people today choose to have fruit trees on their property so that they can enjoy the bounty they get each year. Having fruit trees can be wonderful, but you want to make sure you give your trees the proper care they need with tree trimming in the San Fernando Valley so they can stay at their best. Just like any other tree, fruit trees will develop bare areas and dead branches over time. These areas and branches need to get removed or trimmed back so that new growth can be stimulated for the tree. Proper trimming of these areas gives the tree the encouragement it may need for new growth to come along, giving you more viable areas of your fruit trees than you may have had recently. Trimming these areas can also open other areas of the tree that may not have been getting enough sunlight to thrive the way they should. To help keep your fruit trees at their best, you are better off turning to experts for the tree trimming in the San Fernando Valley that you may need. If you are not keenly familiar with the proper way to trim your fruit trees, you could end up causing damage to the tree by trimming away too much of an area. This damage could prevent the tree from providing you with the healthy fruit you want. Professionals have a better understanding of the trees you have and know the proper ratios for trimming and the approaches to take to do the job right. 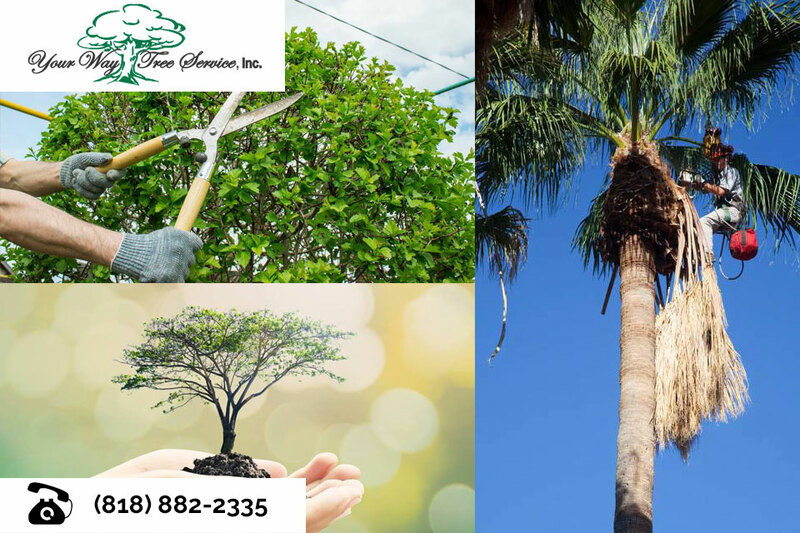 The tree trimming in the San Fernando Valley that we can provide for you at Your Way Tree Service, Inc. can help to keep your fruit trees thriving. We are expert arborists and know how to treat a variety of fruit trees so they can stay healthy and active for you. If you have questions about your fruit trees or need assistance with them, please give us a call at 818-882-2335, and we will be happy to assist you and help you keep your fruit trees at their best.